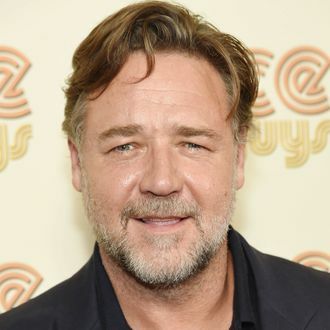 The art of divorce is truly not lost on Russell Crowe. In the midst of a separation from his long-term partner, Danielle Spencer, the cheeky Aussie decided to host an auction with Sotheby’s to raise the required funds for his alimony checks, fittingly coining the event “The Art of Divorce.” (We mean, really, look at the advertisements. What a ham!) We’ve already been delighted by looking through the menagerie of Crowe’s vast antique and memorabilia collection that he put up for sale, but now, we know if people actually wanted to buy his goods — The Guardian reports that the auction was a big success, bringing in an estimated $3.7 million. Crowe himself was on hand to look over the proceedings in Sydney, with the most popular items being his Gladiator breastplate, an 1890 Milanese violin, and his Royal Navy dress blues from Master and Commander. There was also quite a bit of interest in his Cinderella Man leather jockstrap, you weirdos. Crowe is happy. His wallet is happy. His wife is … presumably happy with all of that money? What a day.